After posting the classic dessert, Poached Pear in Red Wine, some readers sent me emails asking how to remove the pear core without doing much damages to the pulp? 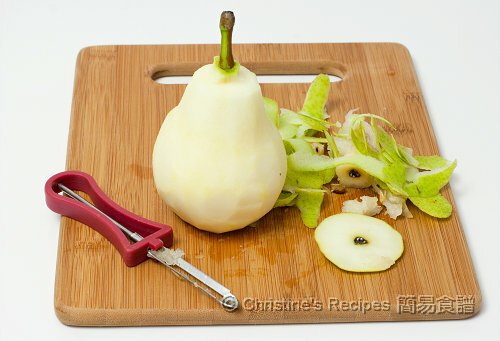 If you have a little kitchen gadget like mine, removing the pear core is pretty easy. This core remover online also does the good job as mine. I can’t remember where to get the gadget. 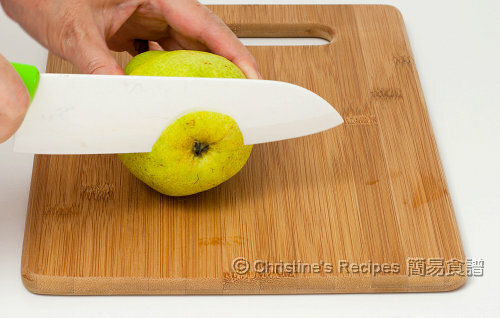 It’s my husband’s favourite tool to peel the skin of apples. The tip of the little peeler has got a very sharp point. 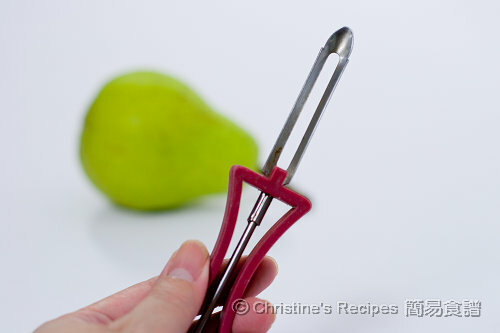 The design of the peeler is nice, with a lightly curved body. 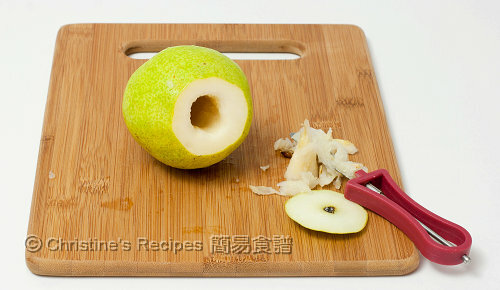 You’ll see how easy I can remove the core of a pear. In the way, I can use it to remove the core of an apple. 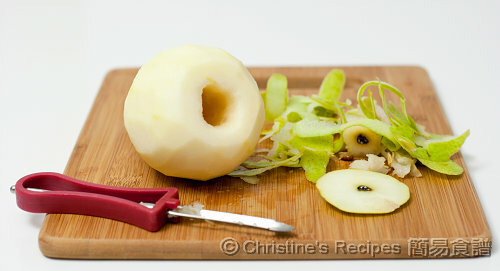 Insert the sharp tip of the peeler and run around the core. Scrape out the core inside. Oh, how nice the hollow pear looks! 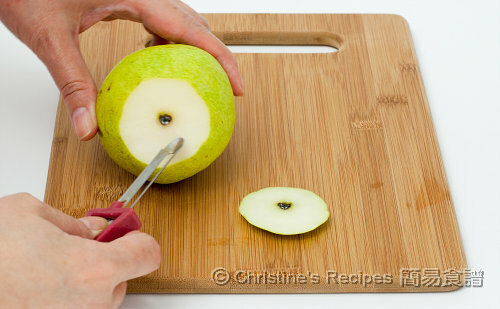 Do you have any other methods to remove the core of a pear or an apple? Feel free to drop a line in the comment. I have a similar tool from a Middle Eastern shop. They use it to remove zucchini pulp for stuffed zuccchini stew! In Lebanese cooking we use corer every day ! This one can be found even at dollar stores, or Indian stores or any ethnic supermarket. What a great tip. Now, on a mission to hunt for the tool! Great tip Christine...and love the pictures :-) Have a wonderful week!